The bucks are out in force this week and we’ve got the encounters. Grant and Adam have an intense moment in Kansas when a big, grunting buck comes charging in. It’s a quick shoot / don’t shoot moment. Then two more Missouri bucks go down as Chase White and Zack Coy both grunt them into the kill zone. Is it a miracle? It seemed there was only a small chance that Pops Woods would hunt this fall. Well, there is great news to share as Pops gets out for the Missouri gun opener! Where should you hunt now? Good news! 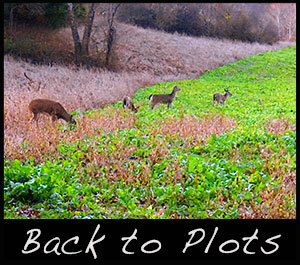 With fewer acorns, the food plots will soon heat up again.